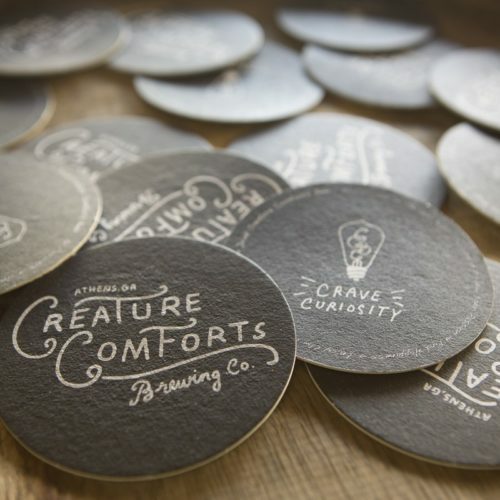 Founder David Stein began brewing at home and called his creation, Creature Comforts. Along with Adam Beauchamp and Derek Imes, they grew the idea of building a new craft brewery in the town they loved, Athens, GA. They built the first Creature Comforts brewery in an old Chevy dealership, providing locals with comfort in the best way they knew how. Subtle Alchemy 1 is a 6.1% blended ale from three separate French oak fermented Saisons that were aged from 10-14 months and bottled in January 2017. The beer features a deep wood, must, earth, lemon zest, and tart characteristics. Booger Hill, a 7.8% is a oak fermented Bière de Garde brewed in December 2014 using local honey from Booger Hill Bee Company. It was then aged in wine barrels for 14 months and disgorged September 2017. Drinkers will delight in notes of oak, almond, tart cherry, honey.